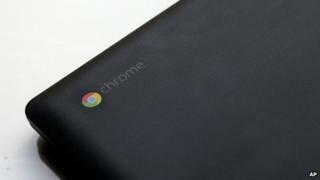 Google has released a tool that lets Android apps run on any machine that can run its Chrome browser. Called Arc Welder, the tool acts as a wrapper around Android apps so they can run on Windows, OSX and Linux machines. But one developer said it was better to write apps that run "natively" rather than via separate software. Arc - the App Runtime for Chrome - was first released in late 2014 as a way for Android apps to run on machines running Google's Chrome operating system. The OS is used on many netbooks and other small machines made by Google and some of its hardware partners. "The best way to make apps by far is to make them natively using the tools that they give us," said Sam Furr, director and co-founder of development studio The App Developers. "When building an app you want to get it to as many people as possible but you have to ask how long it will take to get it on other platforms," he said. "There's no shortage of cross-platform frameworks and some of them are very good," he said, "but in our experience you do not get the same end product as you would when you build it natively."